Take-Two: "We don't believe in Red Dead Redemption 2 success until we deliver it"
There is no question that Red Dead Redemption 2 will sell well. Instead, the question is how well, and it's something even Take-Two Interactive is reluctant to answer. Since the game was announced, analysts have laid out their predictions of sales numbers the long-awaited Wild West open-world game - ranging from the reasonable 12 million for its originally planned spring release to the oddly conservative 15 million for an autumn 2017 launch (the latter matching the performance of the previous release). It's certainly not expected to match the performance of Grand Theft Auto V - now approaching 100 million units since its 2013 release - but most industry commentators fully expect Rockstar's latest to be the biggest launch of the year. Certain big publishers are seemingly a little frightened of the impact of Red Dead, which is due on October 26th. Although Battlefield V and Fallout 76 are scheduled for October and November respectively, Assassin's Creed and Call of Duty are launching earlier than usual this year, giving rise to the idea that even the biggest names are running scared of Rockstar's upcoming epic. 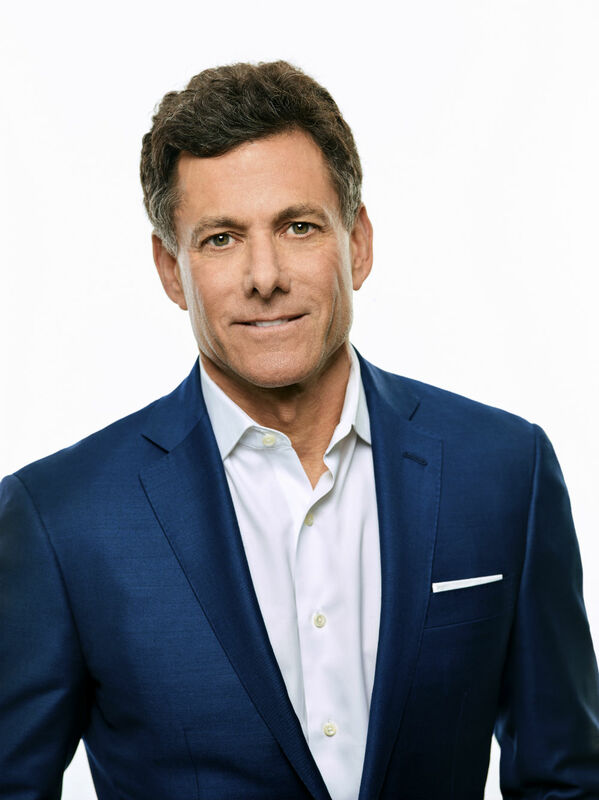 "We're running scared too," Take-Two CEO Strauss Zelnick tells GamesIndustry.biz, speaking to us at E3 2018. "I think a healthy degree of paranoia and insecurity about releases is probably a good thing. I'm fond of saying that arrogance is the enemy of continued success. "We don't believe in our success until we deliver it. We never claim victory until it's occurred. We have very powerful, smart, capable competitors bringing great products to market and we need to win - that means we have to work harder than the next guy." He continues: "I don't think this is a numbers exercise around attach rates - I think this is a question of how phenomenal is the product, and does it capture people's attention and imagination? The answer is clearly it's going to do well, but it's very difficult to say how well. It's going to be a big success, but it's a question of how big?" GTA V's performance marked a step-change for the series, and for Rockstar Games, so shareholders and the industry in general no doubt expect something similar from Red Dead Redemption 2 - even if it can't possibly hope to match GTA's sales. The critical acclaim for John Marston's adventure has ensured a larger potential audience this time around, given that the brand was still largely unknown back in 2010. And the game's online mulitplayer mode will likely drive both sales and revenue for years to come, much the way GTA Online has. But how is Take-Two managing the expectations, both internal and external, as we finally approach the launch? "It's hard to expect anything to perform as well as the most profitable entertainment product of all time"
"It's hard to expect anything to perform as well as the most profitable entertainment product of all time," Zelnick observes. "I don't think that's a realistic expectation. Our hope, and also belief, is that Red Dead Redemption 2 will be an extraordinary creative product and that it will do incredibly well. Beyond that I can't say - I don't think anyone can say. We have to release it and see what consumers think." Despite being the most anticipated release of 2018, Red Dead Redemption 2 was noticeably absent from E3. It was not present at any of the platform holder's press conferences (not even in trailer form), nor was it available to play or watch on the show floor. It's not too surprising given how long it's been since Rockstar showcased its games at the annual event - what was surprising, however, was Take-Two's remarkably muted E3 presence. Back in 2016 the publisher dominated the show floor with its 2K Games booth, mostly with its New Orleans-style street scene for Mafia III. However, a significantly slimmed down release slate means the firm has less to shout about - in fact, the publisher's booth seemed almost out of place in the South Hall this year. Far from the big flashy screens and noisy, playable demos, it was instead a walled-off fortress of meeting rooms and a zen-like lounge for its executives. It begs the question: if you're not going to show games at E3, why attend at all? "The show is really productive for us when we use the opportunity to meet our customers from around the world, to meet analysts who follow the company and to talk to press about what's going on," Zelnick explains. "And while there are consumers here, it's not primarily a consumer show. We are more effective doing business here than doing promotion here." "While there are consumers here, [E3 is] not primarily a consumer show. We are more effective doing business here than doing promotion here"
To be fair, Take-Two has slightly less to shout about than it has in years past. The publisher is still revising its strategy for tentpole releases - last year, Zelnick and 2K president David Ismailer told us they want to reach the stage where it can offer at least one AAA title per year. In the meantime, the brand is more reliant on its popular NBA and WWE series, as well as the growing portfolio of Sid Meier-helmed strategy titles. Zelnick tells us development cycles are becoming "longer... than we'd originally expected" but reaffirms his company's commitment to this goal. "Over time our goal is to bring our legacy franchises back, not in an annualised form but in a way that we have a handful of great releases every year. We would also like to bring new IP to market on a regular basis, which we have historically done. With the launch of [Take-Two's indie publishing label] Private Division we also got another source of high quality titles coming to our publishing platform. So I think we will reach these goals in the coming years. "Obviously this year we have RDR2 as a frontline title, next year we have a big title coming from 2K that's a frontline title. So we're moving in this direction but we're not there yet. The bottom line is that development cycles are longer when you want to make the highest quality in the business. That's our goal. We don't always achieve it, but that's our goal." The CEO is calm and composed as he discusses this, no doubt because his company is still comfortably generating revenue on a scale that offsets the lack of major releases. This is thanks to both GTA Online and its NBA games, with the former proving to be particularly resilient to the passage of time. When asked if he expects GTA's ongoing success to slow, possibly beginning to drop off entirely, Zelnick tells us he's been expecting it "for the last three years" - and yet the game just enjoyed another record year. "The fact that recurrent consumer spending was nearly half of our business in this last fiscal year gives us a latitude to invest even more judiciously in our upcoming titles"
"There's no question that the fact that recurrent consumer spending was nearly half of our business in this last fiscal year gives us a latitude to invest even more judiciously in our upcoming titles," he says. "Included in that is GTA Online but also NBA 2K - recurrent user spending was up 34% year-over-year for NBA 2K. It's also our Social Point games, Dragon City and Monster Legends (which are F2P titles), it's NBA 2K Online in China, it is WWE Supercard and our NBA offering for mobile and it's of course our catalogue. So we have a broad base diversified company now, generating activity across numerous initiatives without regard for frontline releases." That familiar phrase of "recurrent consumer spending" raised many an eyebrow when it was included in Take-Two's Q2 2018 financials - primarily as it occurred in the midst of the loot box backlash against Electronic Arts and other publishers. At the time, Zelnick told investors that he wanted "recurrent consumer spending options for every title we put out", but has the increased cynicism among consumers over the business model forced Take-Two to be more careful? "There is noise around the topic, obviously," he says. "We've had very little at our shop. Not zero, but very little. And I think that's a reflection of the fact that we are so focused on delivering a great entertainment experience first and foremost and then only monetising after we've done that and trying to do so in a judicious way. "It's tempting, but facile, to say 'well look, if you bought it then why are you complaining?'. But that's not customer service - when you focus on your customer you want them to have a great experience, including paying the bill. "The problem is there are certain consumers who really do take the position that everything ought to be free, and that's obviously not realistic. That wasn't good for the music business and as a result that wasn't good for consumers, because we now have in the music business a business that cannot spend the money to develop new artists in the way that it used to because the numbers don't support it. So we want to make sure that there is enough of an economy to support the very creatives who make the goods that entertain people. We don't think that's unreasonable, but our focus is on entertainment not monetisation - internally and externally." "People will follow what a company does as opposed to the words of its leadership... and no-one ever heard me saying 'hey, what's the nature of your last Tuesday's monetisation?' - that's not a conversation we have"
Even so, the publisher will no doubt need to be cautious about how it introduces more monetisation options to popular franchises like BioShock and Borderlands when they return. If development cycles are becoming longer, the costs must also be increasingly, but there will be fans who balk at the idea of adding microtransactions - or whatever system 2K chooses - to either series. 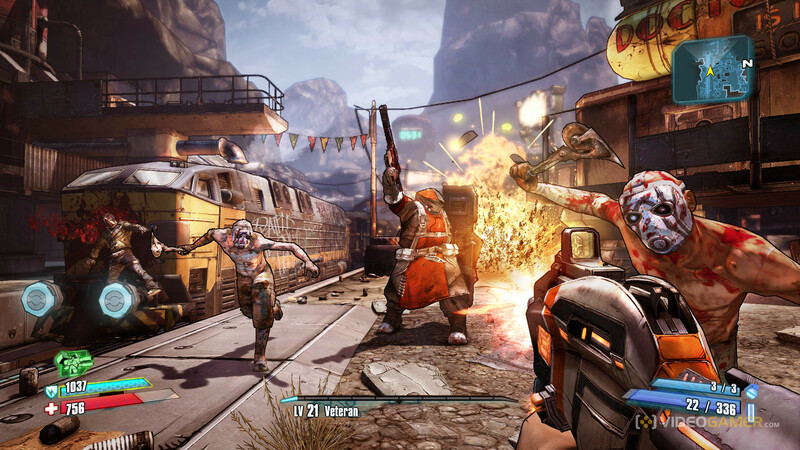 "Well, Borderlands had nine paid downloadable content packs so recurrent consumer spending isn't only in-game payments or virtual currency - it also means downloadable add-on content," Zelnick observes. "For example, Civilization titles have DLC. Mafia III has DLC which is still generating revenue to this day. Our goal is always to engage the customer after the initial release. If we have something that doesn't work we won't be able to do that because no-one wants more of it. "The type of engagement is going to vary product to product. We're not focused on driving that engagement so we can monetise. We're focused on entertaining the consumer because that's what keeps them involved with our products, and then that engagement will naturally lead to revenue and profit if we do it properly. "Our goal is not to use data and analytics to drive monetisation to drive success. I know it sounds like motherhood and apple pie but it's actually what we do around here. And people will follow what a company does as opposed to the words of its leadership... and no-one ever heard me saying 'hey, what's the nature of your last Tuesday's monetisation and did you do a content drop at 1am because that would have been more successful than 2am?' - that's not a conversation we have at our company." There's plenty for 2K Games to work out when it comes to bringing back those AAA franchise - and the recent delay to its next major outing, previously due this fiscal year, shows how determined the publisher is to take its time in doing so. In the meantime, there's that other little Rockstar release fast approaching in October.